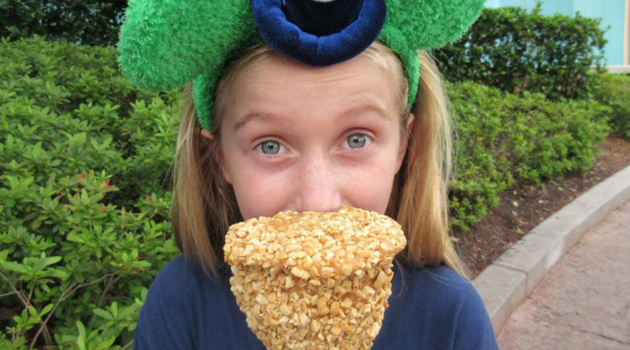 Updated 3/13/19 ~ Disney Dining is known worldwide for their Mickey-shaped snacks, but is there more to the allure of the “Disney World snack” than just the mousey silhouette? YES! So much more! There are so many amazing Disney Dining snacks that we could go on for days about them! That said, we have narrowed down the list to just six favorites. Check these out on your next visit to Disney World and let us know what you think! 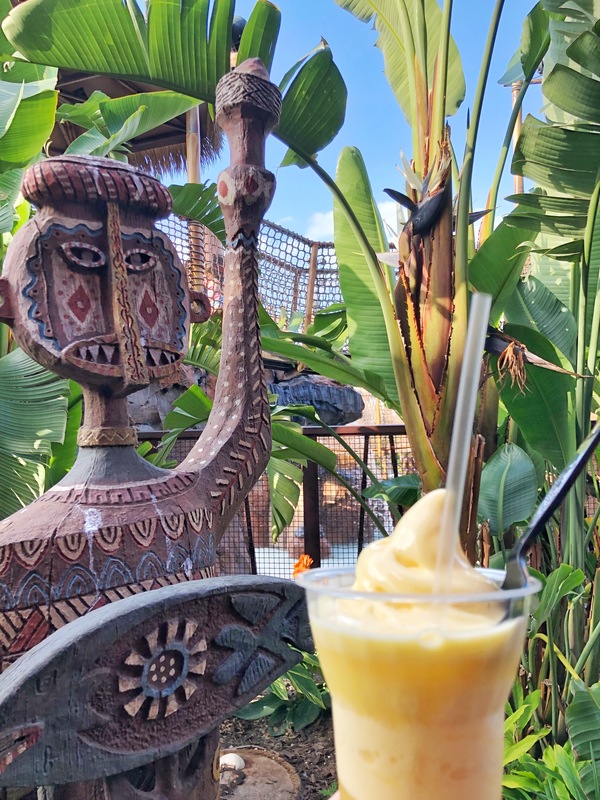 Of course, the iconic Dole Whip float has to be at the top of the list! 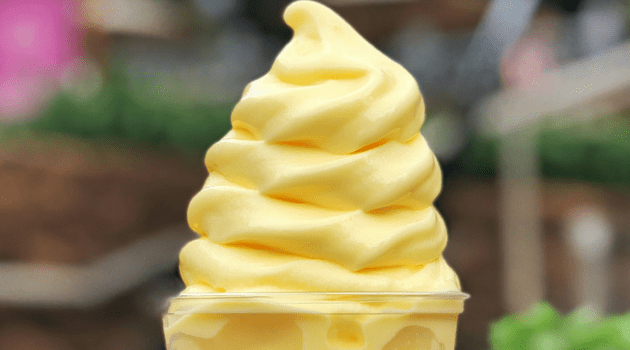 Although there are now some places outside of Disney (and the Dole Plantation in Hawaii) that you can get a Dole Whip, it’s still a snack that most people associate specifically with Disney vacations, which makes it a must-do for each visit. 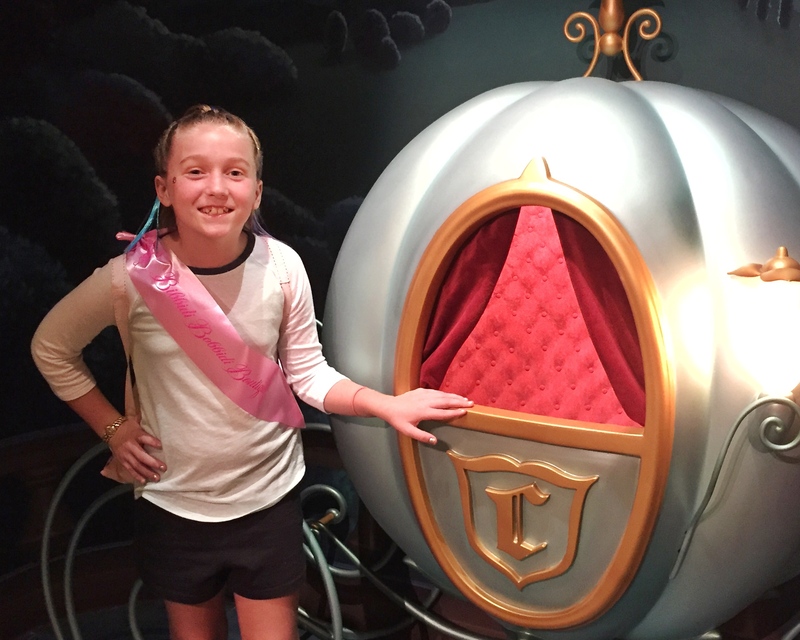 Get access to our VIP Library filled with resources and fun for your next Disney vacation! If you have ever seen a Disney candy apple, you know they are edible works of art! From classic Mickey and Minnie apples to frightening delicious Snow White poison apples to seasonal adorableness for the various holidays celebrated at Disney, there is always a new apple to try! Some have white chocolate, others milk or dark and almost all have a layer of caramel beneath the decorative chocolate shell. Pro Tip: the best thing to do is ask the Cast Member to cut and box the apple for you because unless you are sharing with a few people, there’s no way you are going to finish it! Having it sliced makes it much easier to eat and the box allows you to easily carry it with you. There are a few places to find ice cream cookie sandwiches, but the best one of all can be found at Sleepy Hollow at Magic Kingdom. The classic, freshly made chocolate-chip cookies are so good our mouths are watering just thinking about them! The portion size is large, and you just can’t beat this sweet treat on a hot Florida day! As a runner up in the cookie sandwich department, we want to mention there’s a double chocolate-chip ice cream sandwich at Tamu Tamu Refreshments, too. This is a little bit of a cheat, because there are SO MANY specialty cupcakes at Disney World. Special events, holidays, and even movie releases often result in special cupcakes throughout the parks and resorts. Disney’s Hollywood Studios tends to have a new specialty cupcake added just about every month. There, you’ll find them at Quick Service locations and Trolley Car Café. The Confectionary and Main Street Bakery at Magic Kingdom, Sunshine Seasons at Epcot and Creature Comforts at Disney’s Animal Kingdom are all great spots to find special and adorable cupcakes. If you happen to visit Disney’s Contemporary Resort, Contempo Café is also known for exciting new flavors and creations! One of our favorites is the super-hot-right-now Rose Gold Vanilla Cupcake, complete with strawberry filling, vanilla buttercream, strawberry crispy pearls, and a dark chocolate rose gold Minnie hat. L’Artisan des Glaces in the France pavilion of Epcot’s World Showcase is a place that should not be missed! Their menu is small, but mighty with silky smooth ice cream treats including the Croque Glacé. What is it? This lovely snack is 1 scoop of ice cream with your choice of sauce served in a Homemade Brioche, pressed warm. It’s ice cream heaven on a buttery, warm, fluffy sandwich! You can also get Macaron ice cream sandwiches or an Ice Cream Martini here, just sayin’. Caramel lovers, this one is for you! It doesn’t get better than in the world of German caramel treats than this little snack and merchandise shop in the Germany pavilion at Epcot. Here you can find the most flavorful, fresh-popped caramel corn on property as well as ooey-gooey treats like the Caramel S’more, Caramel Clusters with chocolate and pecans, Mickey Krispy Treat’s with Werther’s Caramel, Caramel Filled Chocolate cookie and SO much more! You pretty much can’t go wrong here, so select whatever caramel-ly treat your heart desires! YUM! 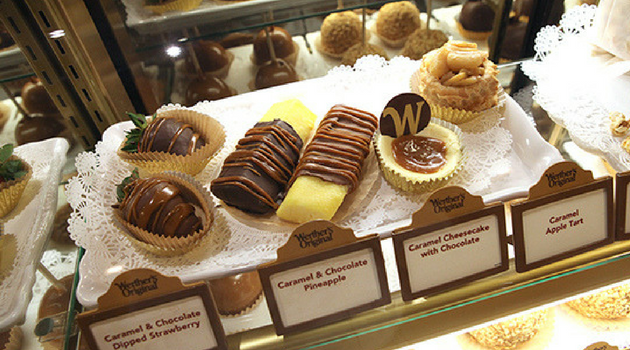 Walt Disney World’s unique and scrumptious snacks are the cherry on top of an amazing vacation! We’re starving now and need to head into the parks to get some snacks! Where should we go? Which of these snacks do you think is the best choice? Note: While these are all what we would consider to be snack foods, they are not all Disney Dining Plan snack eligible, so be sure to check the menu before ordering if you want to use dining credits. Be sure you pin this pic on your Pinterest to refer to later. With over 1,000 visits to Disney World, we know how to save you money! Click on the button below to see the latest discounts on Orlando tickets. Be part of the INSIDERS! We have helped thousands of travelers have a better family vacation. Learn insider tips to your favorite destinations! Where Have You Seen Jones Family Travels? Disney Cruise Tipping Guide: The Last One Will Shock You!